Live 1-2-1 product recommendations based on previous browse behavior. Find out how Dustin use browse behavior and Content Automation to deliver personalized 1-2-1 product recommendations live in email. 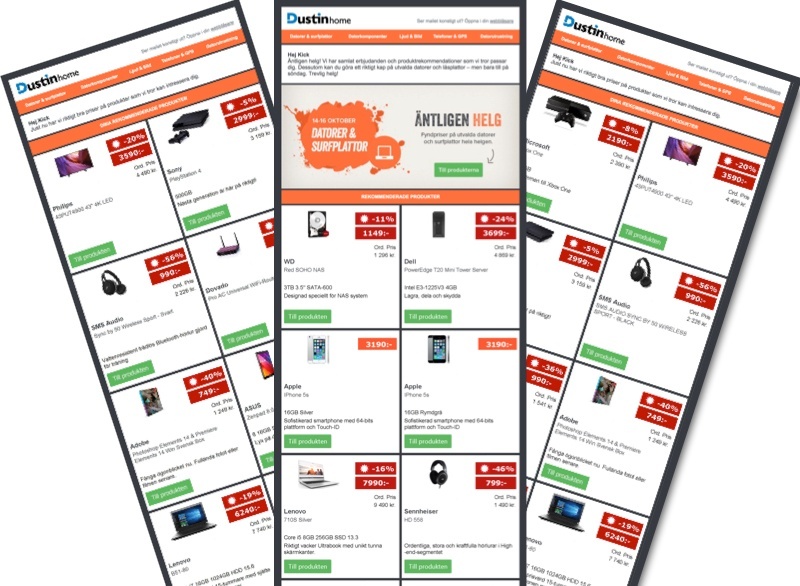 Utilising Kickdynamic’s advanced personalization capabilities Dustin display products that customers have browsed on site live in email automatically at Open time.